"A common thread that connects us all to the world and each other is the use of our physical senses to experience the energies of the water element. Working closely with the energies described in astrology of water sign children, Cocoon?Water Child is designed to embrace children?s deepest desires in life?security, connection, and comfort? through a natural and innocent attraction to nature. 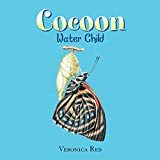 This book has been carefully and beautifully created to capture the natural characteristics and energies of water sign children and allow shared connection to their internal and external selves by using a touch of magic, spirituality, and poetry.